A trip down Patagonia from Bariloche to Ushuaia. 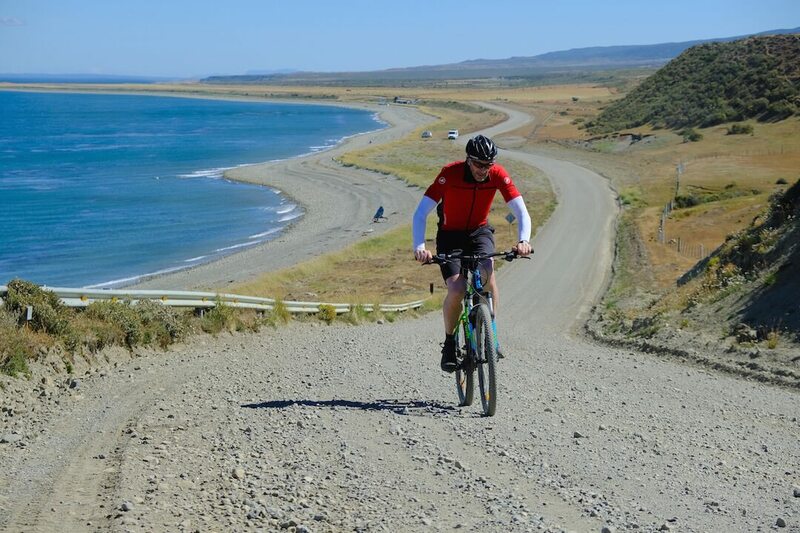 Cycling through the most spectacular landscapes of Patagonia in Argentina and Chile. 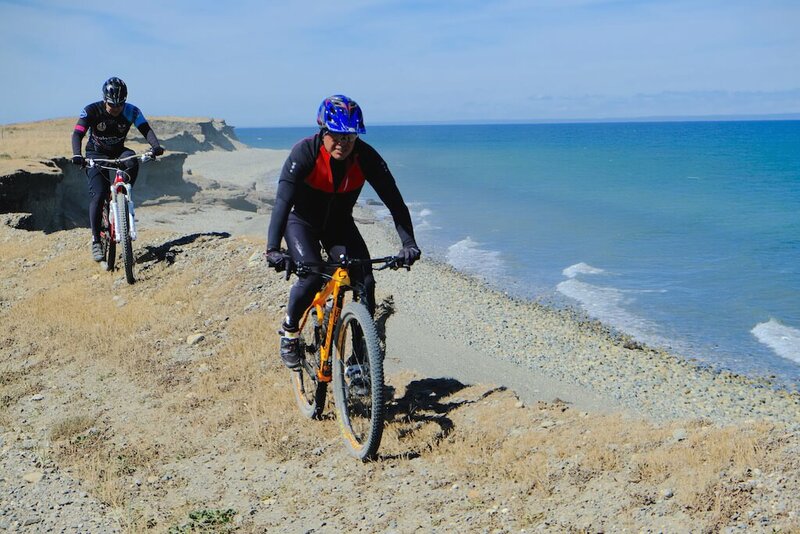 A great challenge and wonderful cycling traverse. 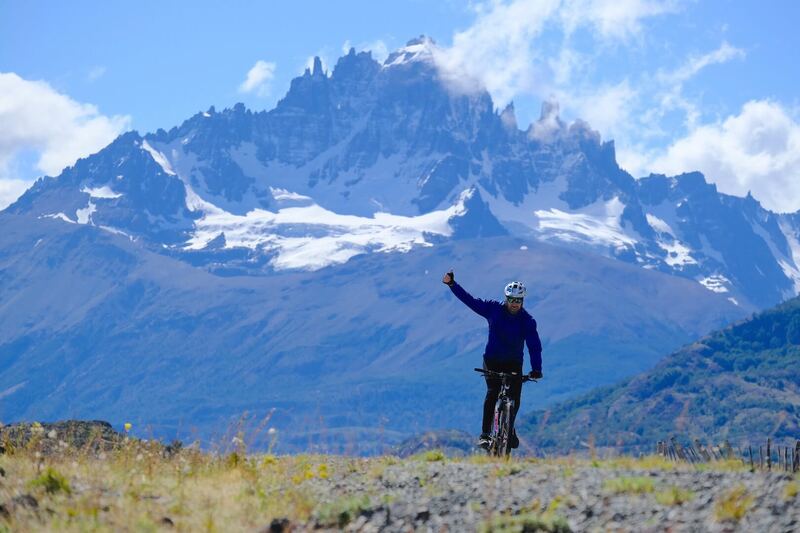 Patagonia cycling tour covers the diverse nature scenarios of one of the most enchanting untamed regions in the world. With you mountain bike the connection with nature is straight forward and the feeling is unique! 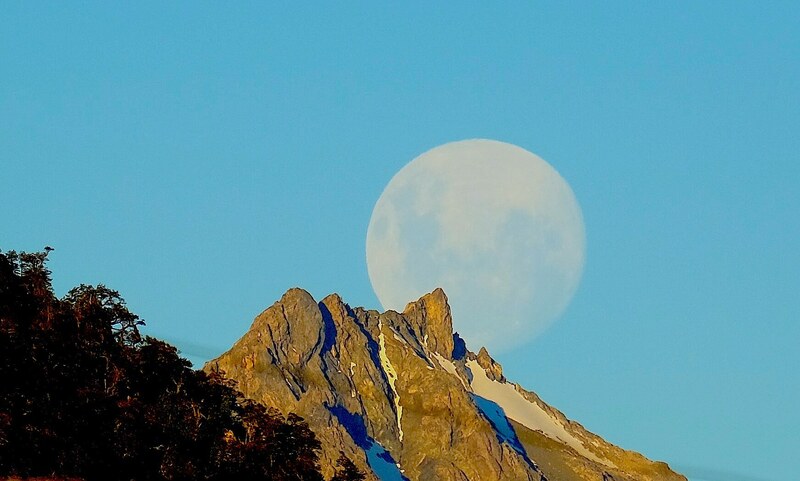 We meet for dinner in Bariloche and get ready all our gear and bicycles. 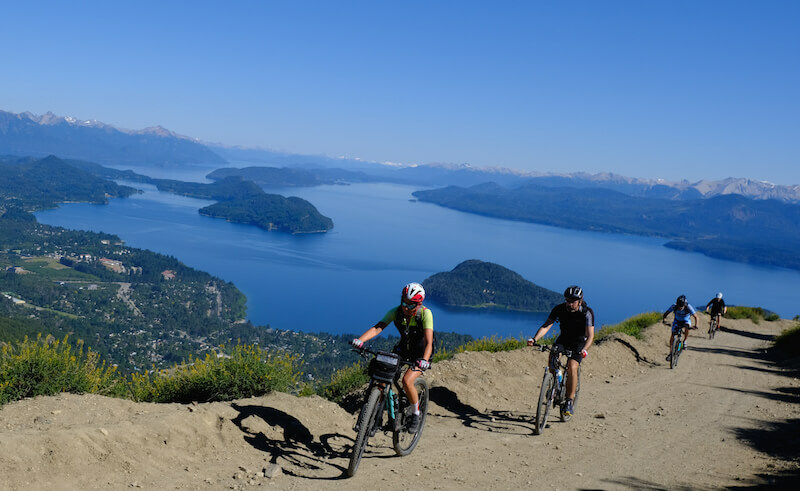 We go cycling up mountain to Otto hill in Bariloche (1400m) (700 m level difference). From the top of Otto we get a great view of the whole Nahuel Huapí national park. We bike downhill toward Gutiérrez lake then we continue cycling by the lake shore to our first campsite near Mascardi lake. We cycle along lake Guillelmo ascending a low pass about 1200m above sea level, then we have a long downhill section toward El Bolsón (200 m above sea level) continuing to El Hoyo de Epuyen (nice village ‘capital of berries’). Daily biking ride: 113 km paved road (level difference: +800 m, -1550 m). 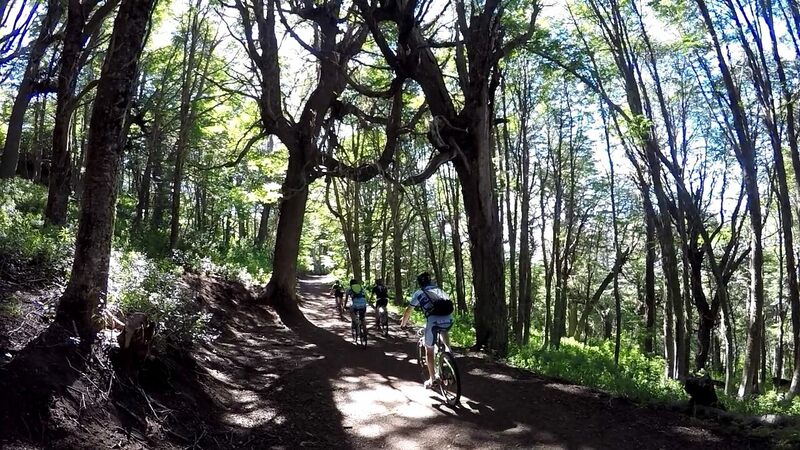 we cycle through the Los Alerces National Park along the Verde lake, Arrayanes river and Futalafquen lake. We end our mountain cycling day at a small town called Trevelin which is an old Welsh colony. 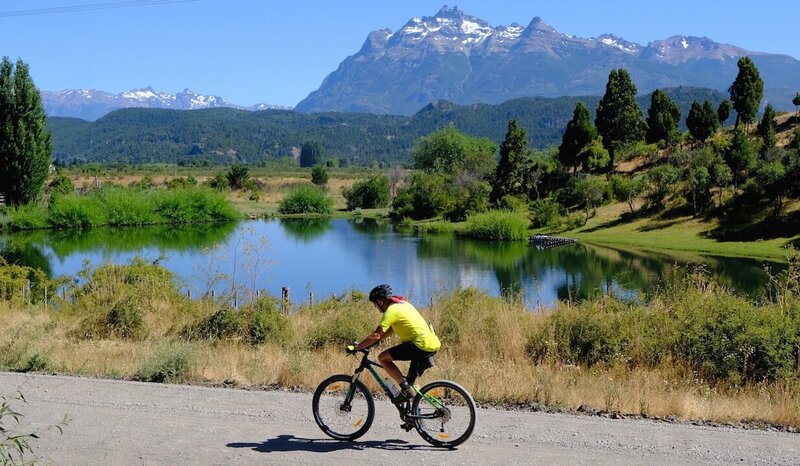 We cross the border to Chile through the Futaleufu pass, we cycle for about 30 km along the Futaleufu river on a undulate terrain and intense green landscape. We continue mountain biking along the Yelcho lake shore, then along Frío and Palena rivers. We pass through Corcovado national park forest. .
We cycle through the Rosselot lake natural reserve and Queluat national Park. 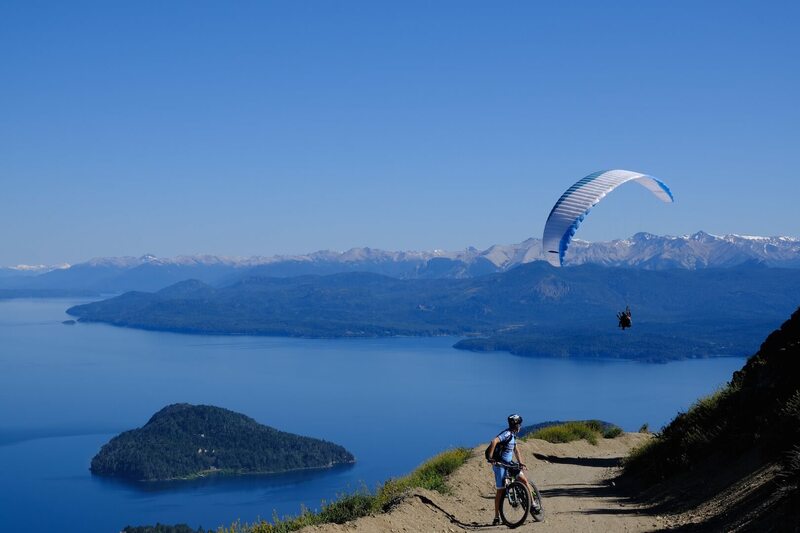 Passing on our mountain bikes along Puyuhuapi port, at the Pacific ocean shore, cycling along the seaside but with great views of the mountains, leafy thick forests and the famous “Hanging glacier” – “Ventisquero Colgante”. We continue mountain biking uphill to Portezuelo Queluat ending our cycling section at Villa Amengual. we cycle along the Simpson river valley, cycling still on the Carretera Austral (‘Southern highway’ on Chilean side, it is not a real highway, just a two lane paved road) to the Natural reserve Cerro Castillo, from there we detour to Puerto Ibáñez. .
We cross the boarder again back to Argentina. First we take a boat through the General Carreras lake (37 km) to Chile Chico port. We continue cycling along the Gral. Carreras lake, at km 8 we actually cross the border entering to Argentina. 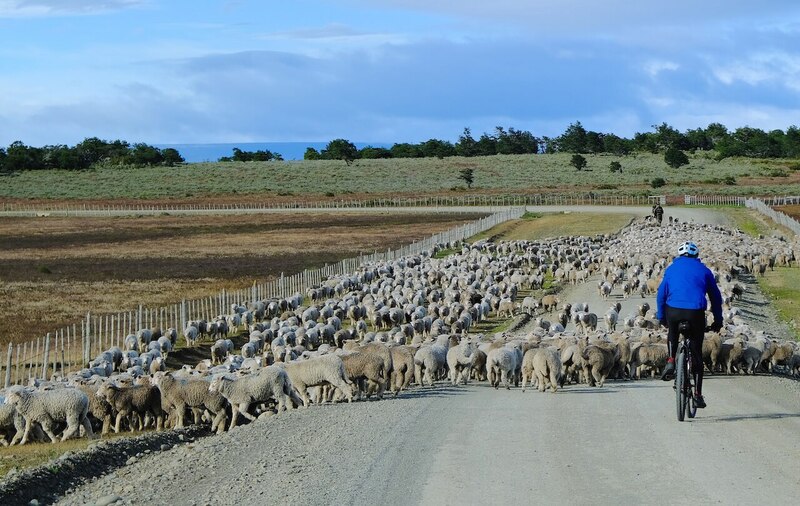 Here we begin to discover a new natural environment, the Patagonian steppe, driers and arid, discovering the “other face of the Patagonia” and the desert… From Perito Moreno town (350 masl) we ride on the van, to ranch – Estancia Casa de Piedra, our next lodging spot. Lodging: Camping at Estancia Casa de Piedra with the option to sleep in bedrooms at an extra cost. Leisure day with a trekking option of about 5/6 hours hike (a short uphill hike and short downhill otherwise mostly flat) hiking along Pinturas river canyon, De Las Manos paintings caves. Around Casa de Piedra ranch, there are two smaller volcanoes, if you feel like you may cycle up to the crater. Lodging: Camping at Estancia Casa de Piedra. with the option to sleep in bedrooms at an extra cost. We ride on the support vehicle for 150 km passing through the village of Bajo Caracoles. From there we continue cycling for about 60 km with wind blowing most probably from behind us, helping us while we continue mountain biking. We have a stretch of 30 km cycling on gravel road (starting at km 60). Lodging: Camping at estancia La Angostura .with the option to sleep in bedrooms at an extra cost. 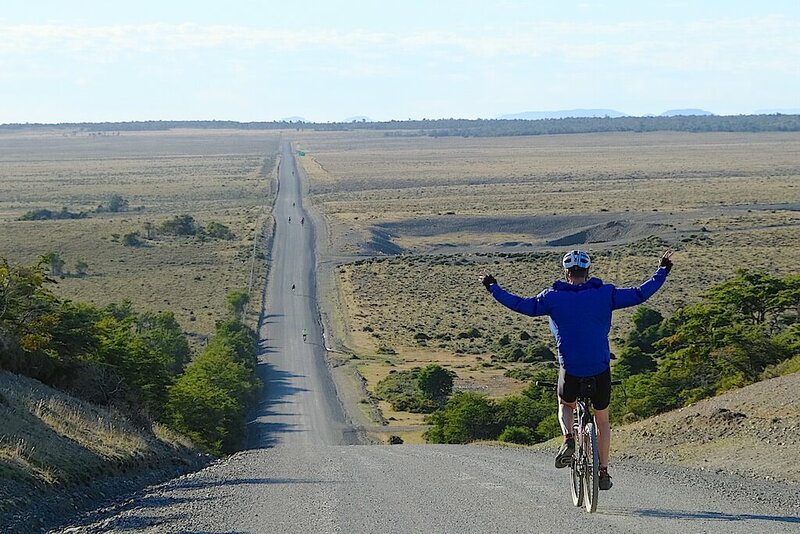 Desert stretch of the Patagonia cycling trip… we continue experiencing the loneliness of the legendary Route 40 while we continue mountain biking through the Patagonia steppe. 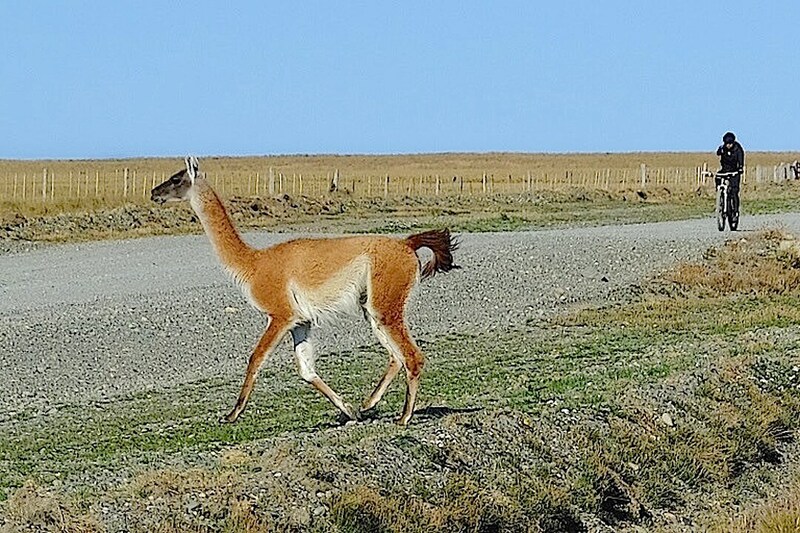 We will have the opportunity to spot several guanacos along the way. 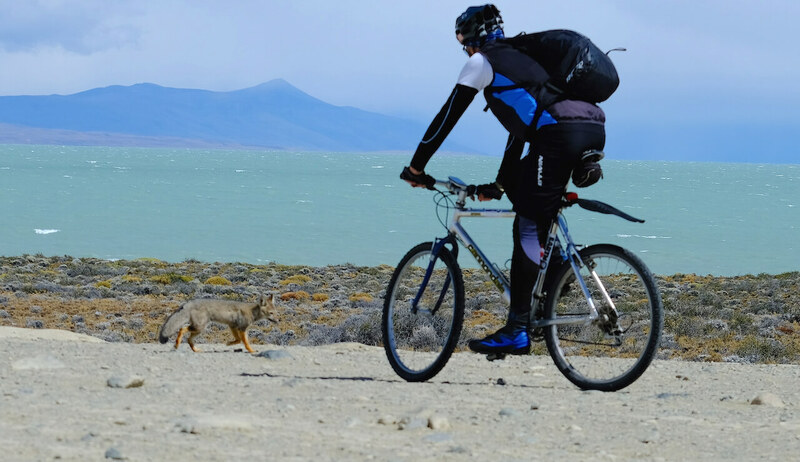 We will cycle along the unique turquoise color lake, Cardiel lake and the Estancia La Siberiana. From a certain point we continue our cycling journey on the support vehicle to our next stopover, El Chaltén. Leisure day, with the option to go mountain biking to Laguna del Desierto or to go trekking to base camp of Fitz Roy or Cerro Torre, legendary rock climbing peaks. We cycle along Lago Viedma, too Río La Leona (mostly with wind behind us) finally arriving to Argentino lake. The last stretch of 35 kms, we ride on our support vehicle in order to avoid a dangerous route with traffic and the wind usually blowing sideways. 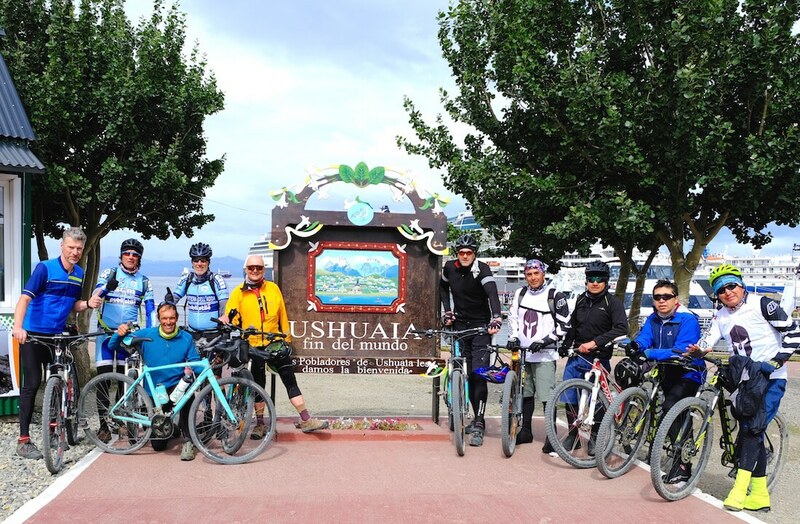 in El Calafate will join our group those who will do the South Patagonia cycling trip from El Calafate to Ushuaia. Daily biking ride: 110 km (40 km on paved road). Bariloche, Parque Nacional Nahuel Huapi and Los Alerces. 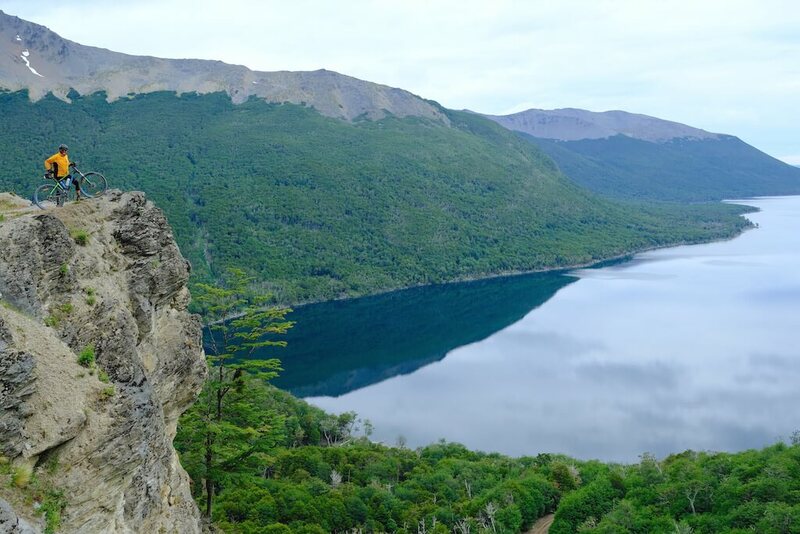 El Bolson, Futalaufquen lake, Trevelin. 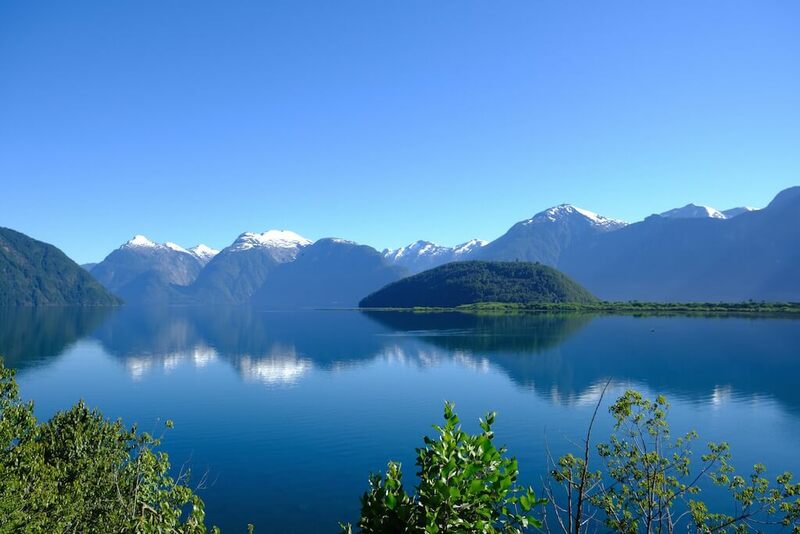 Chile: Futaleufu, Lago Yelcho. Carretera Austral in Chile: P.N. Corcovado, Reserva Nacional Lago Rosselot, PN. Queluat, La Junta, Pacific ocean, Pto Puyuhuapi, "Ventisquero Colgante" (hanging glacier), "Portezuleo Queluat", Villa Amengual, Lago Torre, Rio Simpson, Coyhaique. Argentina: Patagonian desert (Route 40) with its incredible steppe. Perito Moreno, estancia Casa de Piedra, Cueva de las Manos, Bajo Caracoles, Cardiel lake, El Chaltén, Fitz Roy and Cerro Torre, Laguna del Desierto. Lago Viedma, La Leona river, Lago Argentino. 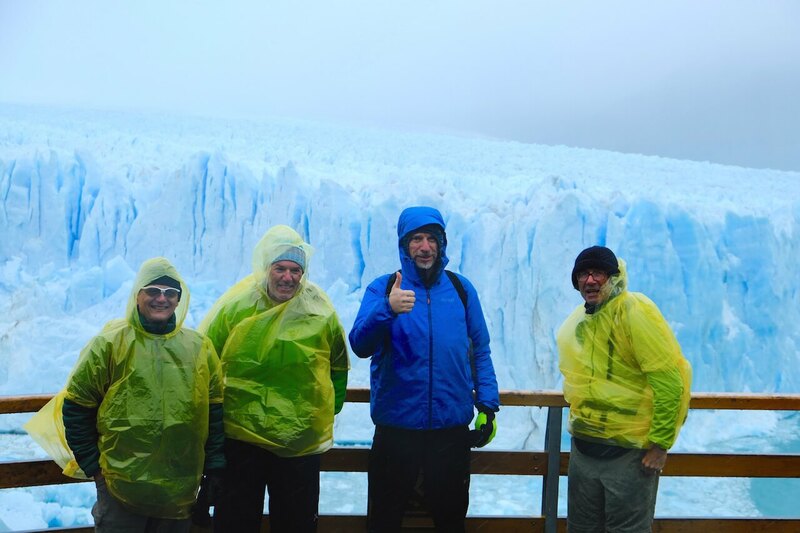 El Calafate and Los Glaciares national park (Glaciar Perito Moreno). 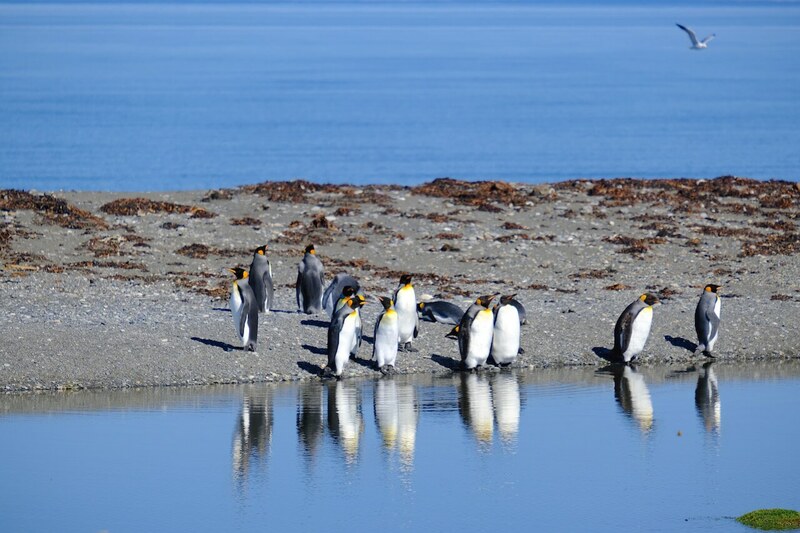 Pto Natales (Chile). Rio Verde. 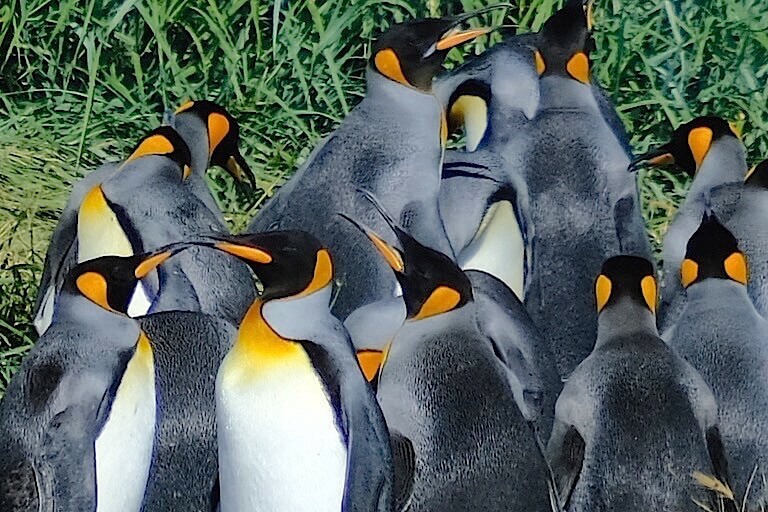 Punta Arenas. Magallanes strait. Tierra del Fuego: Río Grande, Yehuin, Cheepelmuth. Tolhuin and Fagnano lakes. Garibaldi pass and Ushuaia (Bahía La Pataia-Canal de Beagle). 2.700 km. (735 km gravel road), 650 km on support vehicle. Approx.. 2050 km of the total 2700 km are on bicycle. Some parts will be done with our support vehicle. The distance has been divided into 21 days of cycling, with 6 days for walks and rest. The daily cycling rate is approx.. 6 hs at an average of 17 km/h. Most of the time we have side wind (it blows from the West), on the section from El Calafate to Ushuaia we have the wind from behind helping us while cycling. Level difference: the cycling traverse goes on slope terrain. During the whole cycling trip we have 15.750mts of ascents with a daily average of +750mts. 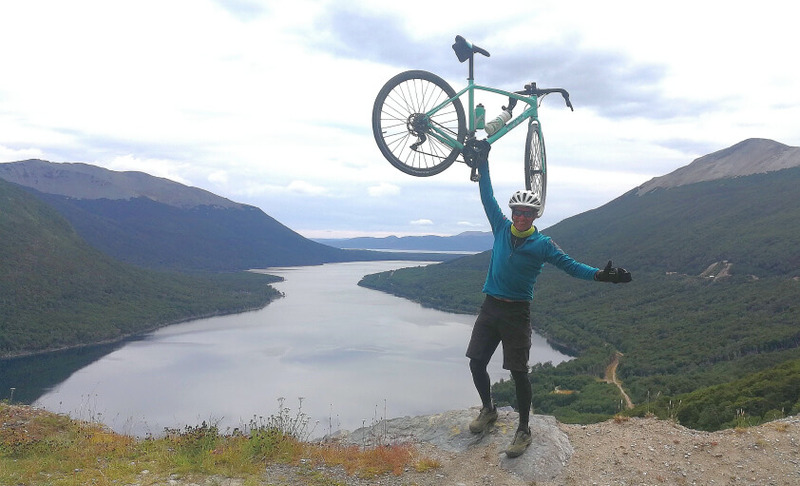 The highest point of the whole cycling trip in Patagonia is of 1500 masl. The usual temperature in Patagonia in summer season is between 5 ºC and 25ºC (we recommend a sleeping bag “with comfort bellow 0ºC”). It is dry weather on the Argentine side but usually rains on the Andes area, especially on the Chilean side on Carretera Austral and often in Tolhuin and Ushuaia. Every 2 or 3 hours we make a stopover where we serve beverages (water, tea, coffee and juices) and energy boosting snacks. At noon we make a longer stopover for lunch. For dinners we usually go to restaurants, when this is not a possible option our support team cooks the meals. The support vehicle is always at hand for whatever you might need during the cycling. this is an exclusive cycling trip with a minimum of 5 people. Registration should be confirmed three months in advance otherwise a 15% will be added to the price.